Product prices and availability are accurate as of 2019-04-16 10:46:09 EDT and are subject to change. Any price and availability information displayed on http://www.amazon.com/ at the time of purchase will apply to the purchase of this product. This ASM-506L full-articulation swivel mount for flat-panels up to 200lb./90.7kg. Typically fits displays medium from 52" - 70" or displays with a mounting pattern of 200 x 200mm to 800x600mm. The ASM-506L extends 37 in. 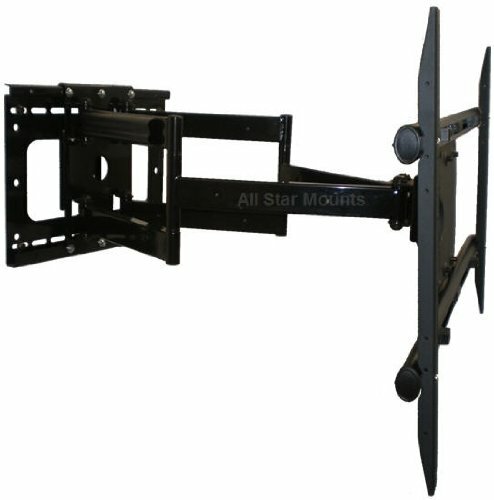 from the wall and allows up to 90º of swivel to both side on TVs 57" wide or less. The swingout arm of the ASM-506L can be pulled out from the wall and move to the left or right, while providing 15º of tilt. It can easily be moved back to its home position, at a depth of 4.5 in. from the wall.